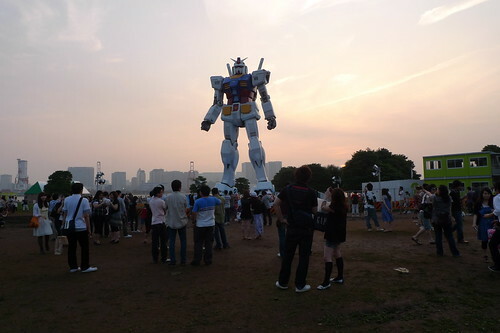 After hearing so much about the life-size Gundam statue in Odaiba, I finally decided to visit it. 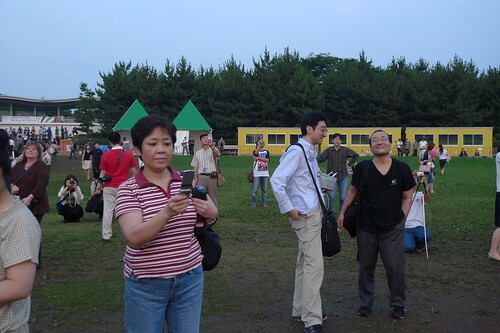 It was the evening of the 4th of July, which is more than a week before its official unveiling. 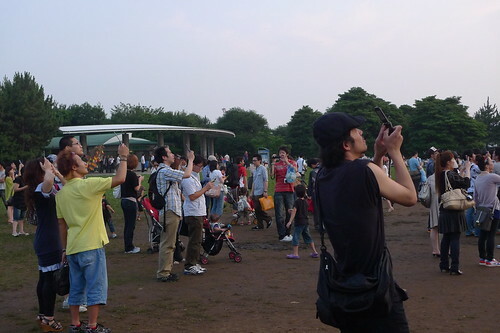 But already many have gathered over there to take photos of it. 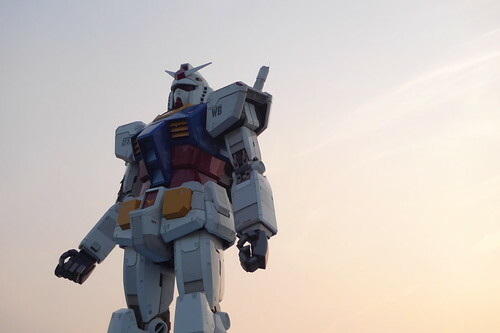 I was never actually much of a Gundam fan, during my childhood I've only seen the Mobile Suit Gundam F91 film and the Gundam Wing series. That was it. 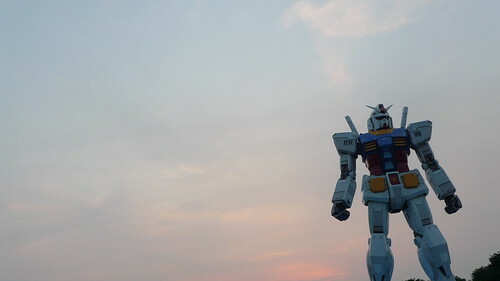 Macross/ Robotech remained the most important mecha anime of my childhood, then as I grew up, I was more into the likes of Nadesico, Neon Genesis Evangelion, Rahxephon, Escaflowne etc. the space opera of Macross just didn't feel like my cup of tea. 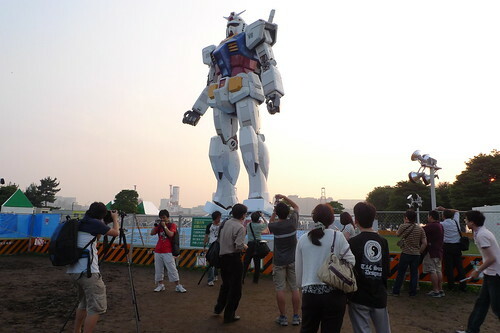 But nonetheless, I was excited to see the bloody life-size Gundam statue! 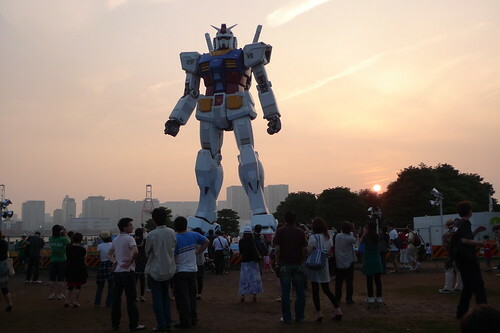 And to be there during sunset was cool too! 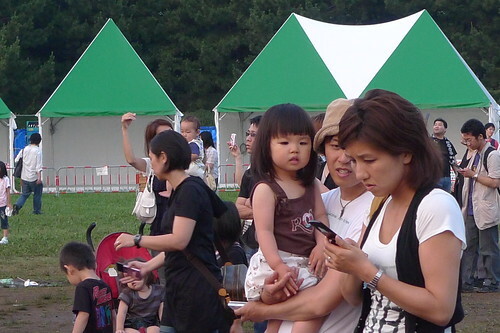 People of all ages were there to take photos. 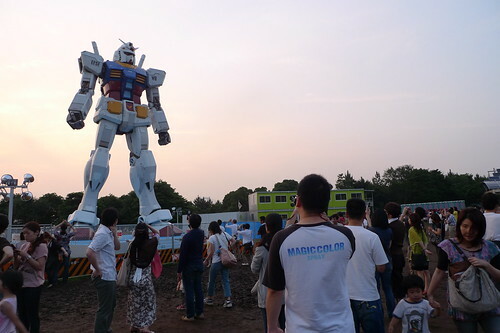 Even the little girl below was infected by her parents' contagious excitement over the Gundam. 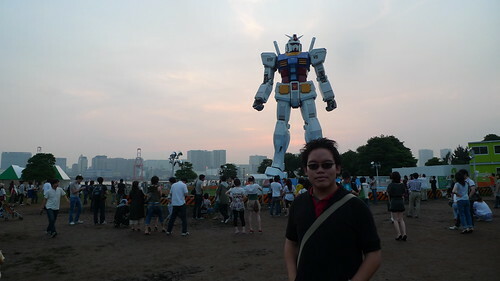 That's me, looking pretty in front of the Gundam. 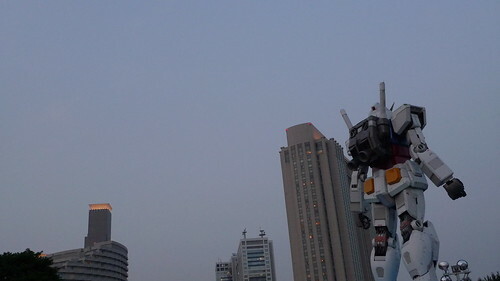 I wonder whether I should shoot my next project there. Hm.